Atop the rippling waves the breeze ruffling his fluff Loon Baby waits, alone, and wonders: Will his mother ever come back? 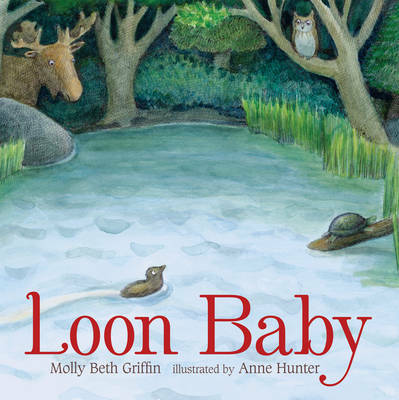 With sensitivity and a spare prose, first-time author Molly Beth Griffin navigates the quiet panic that Loon Baby experiences in the absence of Mama. Anne Hunter s soft cross-hatched and watercolor paintings shape a serene lake-scape with varied scenes that amplify and illuminate the emotion this book captures. "